The town made famous by the spooky tale of the “Headless Horseman” is a must for travelers fascinated by folklore. The historic village located on the east banks of the Hudson River offers a little something for everyone to enjoy. There are countless attractions for thrill seekers and curious visitors alike, and it’s also considered to be one of the most haunted places in the world! 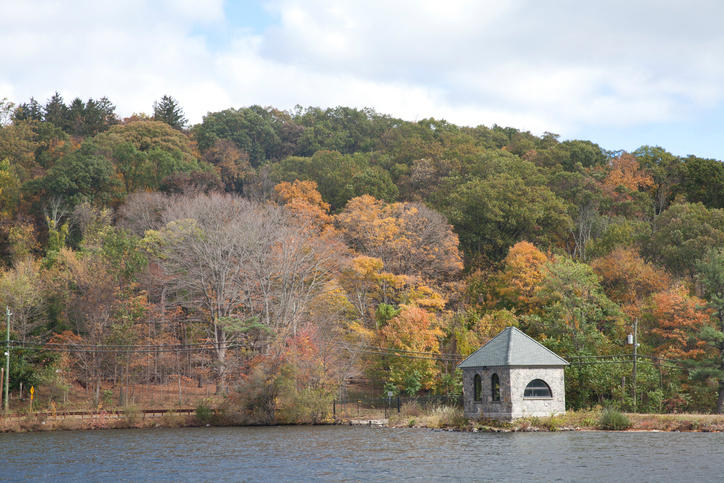 If the curiosity is just too much for you, here are some of the best things to do in Sleepy Hollow that you surely won’t want to miss! Philipsburg Manor was a thriving farming, milling, and trading center that lasted from 1693 to 1779. It was owned by the Philipses, a family of Anglo-Dutch merchants. The family rented the land to farmers and used 23 enslaved Africans to operate the complex. Today, guests can visit the property to learn more about 18th-century colonial life. You’ll enjoy tours of the 300-year-old manor house, hands-on activities at the activity center, and more. Located on a hilltop in Westchester County, Kykuit: The Rockefeller Estate is one of America’s most famous private residences. It was the home of renowned oil tycoon John D. Rockefeller in the late 1800’s and features a stunning six-story stone house, terraced gardens, fountains, and even a nine-hole reversible golf course. Be sure to check out the Coach Barn filled with classic cars and the 20th-century art and sculpture collection. Visitors can take guided tours of the property and hear stories about various Rockefeller family members. Rockefeller State Park Preserve is a great place to relax and unwind. The Preserve is part of the Kykuit Estate and is comprised of over 1,400 acres. Guests can visit the public park and take advantage of recreational activities like bird watching, fishing, hiking, and horseback riding. You may also grab a blanket and picnic basket and eat lunch in the Preserve’s beautiful open meadows. Founded in 1685, the Old Dutch Church is the church that appears in “The Legend of Sleepy Hollow”. Its 2.5-acre burying ground is the purported home of the Headless Horseman. It’s also the final resting place of local citizens who inspired many of the characters in the book. To take a self-guided walking tour of the property, purchase a copy of Tales of the Old Dutch Burying Ground from the Philipsburg Manor museum shop and follow the fold-out map in the center of the book. The Old Dutch Church Burying Ground is often confused with Sleepy Hollow Cemetery, an adjacent but separate cemetery where Washington Irving, Andrew Carnegie, Walter P. Chrysler, Elizabeth Arden, and many others are buried. Sleepy Hollow Cemetery offers guided afternoon and evening tours to 50 special features on the cemetery grounds. Call ahead to make your reservations. If you are a fan of The Legend of Sleepy Hollow, you won’t want to leave without visiting the Headless Horseman Monument! Located at Philipsburg Manor, this headstone-like monument depicts the scene in which the story’s hero, Ichabod Crane, is pursued by the menacing Headless Horseman. It’s a great place to stop for photos and appreciate the town’s love for their beloved folk tale. Located approximately 35 minutes from Sleepy Hollow, the Stanton House Inn in Greenwich, CT is the perfect getaway for your next vacation. Unlike typical Greenwich hotels, the historic Stanton House Inn provides its guests with a one-of-a-kind lodging experience in an elegant and sophisticated atmosphere. You will enjoy well-appointed guest rooms adorned in posh-era charm, a complimentary continental breakfast, and warm hospitality. It’s everything you need plus more to make memories that will last a lifetime. Book your next vacation at the Stanton House Inn today! If you haven’t already, don’t forget to download your free copy of our Greenwich Vacation Guide! It’s a handy tool for planning the perfect New England getaway of your dreams.